No matter what time of year it is you can be guaranteed to see someone running down the sidewalk or street. Just like anything else in life making sure that your body is properly maintained and looked after can be vital to any avid runners career. If you are a runner there are certain body movements and dysfunctions that you may not be aware of that could be hindering you running at an optimal ability. Here are a few issues with examples that could possibly be happening and you are not even aware of it. Over pronated Feet from pounding on hard surfaces, or wearing improper foot wear. Haunch Back/Forward Head which could be due to weak Core muscles, bad posture when seated or even tight upper back muscles. When performing a squat your knees turn inwards. One side weaker/Stronger than the other therefore, you may feel pain in your Hamstring versus your Quadriceps muscle. You might be now thinking to yourself "I know exactly what you are talking about", so how do I fix this. First I want to let you know that you need not worry it is a very simple fix that you can start doing in the comfort of your own home. If you begin to incorporate a properly executed Strength and Core training program along with added flexibility routines you will be good to go! Let me first explain the benefit of strength training for runners, and why its it so important to include a strength, core and flexibility regime into their weekly routine. Muscle fibers that are strengthened help prevent tears and pulls. Muscle tone helps improve joint stability which aids in absorbing shock from running on those hard surfaces. Connective tissue becomes stronger (ligaments and tendons) prevents tears, pulls and tendinitis. Improved general strength will increase the size of your muscle fibers providing a base for the explosive strength training. Improved Strength training will improve the ability of your muscles to generate a higher level of strength in a short period of time which increases your power. Therefore, improving both general strength (resistance training) and explosive strength training (plyometric exercises) will help by maximizing the force produced without increasing the time it takes to produce that force. Decreases your ground contact time. Makes your muscles more elastic so they return more energy. 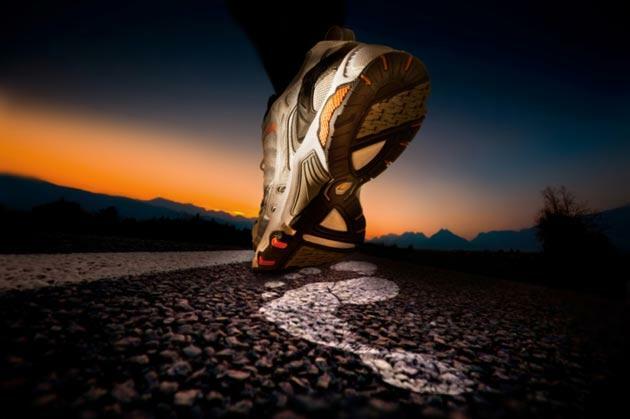 Improving your neuromuscular conditioning (run using less energy and oxygen) will make you a more economical runner. To get you on the right path and to help you become the best runner you can be look at incorporating a strength and core training routine along with a flexibility program 2-3 times per week. Each workout only need last about 30 minutes, so not very much time at all and make sure to focus on a Full Body exercise routine.